I am so tired. In fact on the verge of nodding off if it wasn’t for the sore muscles aching like never before. Each mm of movement makes my face go like aaarrwwaahghggg (not selfie like material). 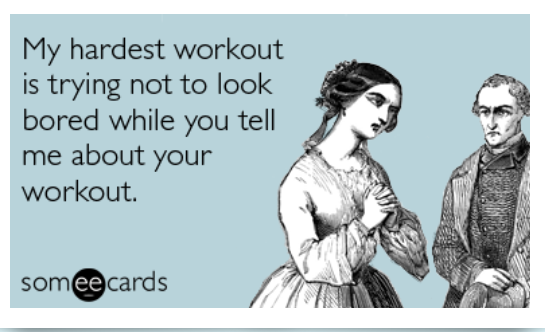 And I stand up peeing being too afraid to sit down and not coming up again. But….all good pain and I kept my promise to myself and did spinning at noon. The instructor was an American guy who could not stop talking. He took the class on a mental journey around his old hometown in PA (Pennsylvania? ), we went passed his middle school, through the town way up in the mountains. First I was like, quiet!!! But, towards mid class of pedalling my thick aching body I felt uplifted by his narration. Then he went on about being a goldfish stuck in a crowded bowl with other goldfish. Or to be a goldfish that flies over to another bowl choosing the scary, unknown filled with fears and opportunities. I speeded up my game, turned the wheel up a notch and kicked all the other goldfish’ butts (?)! Oh, I am looking forward to his next class! There will be over sharing. Queen E in a perfect size. K got back from London today and brought me her to the wall of star(e)s. Love her! West coast is best coast when it comes to raining! 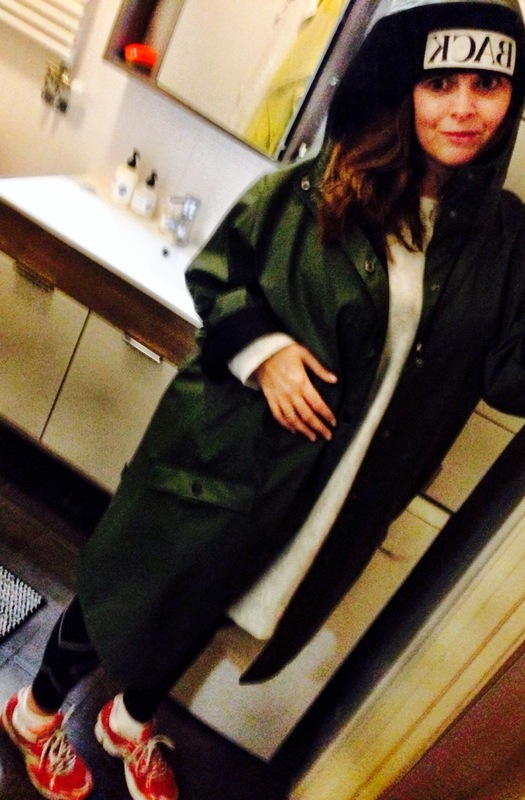 I am grateful for my coat from RAINS. Using it a lot, morning, noon, evening. And counting the steps! Tomorrow is looking busy but fun and I have a coach session follow up with my health coach Matilda 4 weeks on the program. Fingers crossed! I would waved good bye but I cannot move. 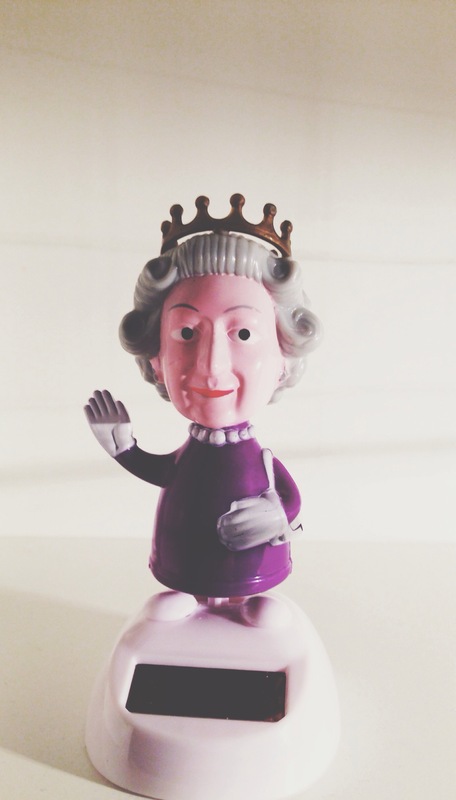 Queen E will be doing the waving. Ulrika/ who will sleep with the bird lamp lit in the window as she is keeping moving to a minimum now once in bed. I read that title as ‘Frying Goldfish’ 🙂 As a veggie I was traumatised, for half a second. ← Chicks and pool side fan clubs.